Horse trainer Ben Currie faces 37 charges, many relating to illegal race day treatments. 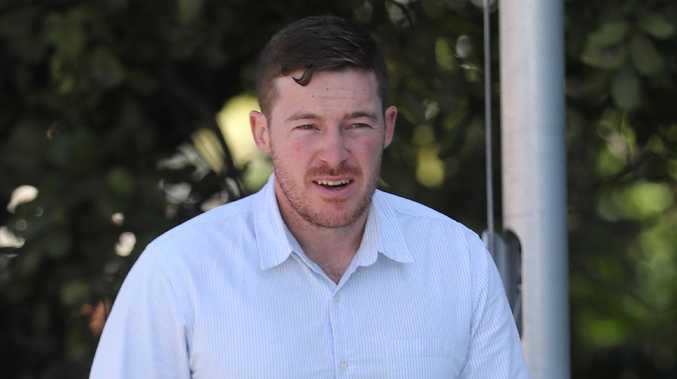 RACING Queensland is ­expected to use a rare rule of racing to effectively ban controversial Toowoomba horse trainer Ben Currie as early as today. Racing Minister Stirling Hinchliffe's office last night confirmed the Minister expects RQ to act on legal advice to refuse nominations from Currie for all thoroughbred races in Queensland while he is facing charges. Currie was originally charged in May, with illegal race day treatments although he has denied wrongdoing and intends to plead not guilty to all charges. He has since received more charges relating to positive swabs and the use of a "jigger" device. A spokesman from the office said it follows weeks of discussions the Minister has had with key industry figures about maintaining integrity in the Queensland racing industry. "Under AR 55 of the Australian Rules of Racing all nominations are subject to the approval of a Principal Racing Authority, in this case Racing Queensland," the spokesman said. "AR 55 states a PRA may decline to receive or after receiving reject any nomination in their absolute discretion and without giving reasons for so doing. "Integrity is all important in this sport and racing participants - and the public - need to have complete confidence that the highest standards are being upheld. "This is about protecting the standing and integrity of the Queensland Winter Racing Carnival, one of our most prestigious major events." Ben Currie was originally charged in May last year with 31 charges (later reduced to 28), many of which pertained to illegal race day treatments. In February, the Queensland Racing Integrity Commission laid another seven charges against him, including alleged use of a jigger. There has since been another two charges alleging the use of a jigger, bringing the total to 37. Currie also has five swab irregularities waiting to be heard. He has twice been stood down by QRIC stewards, pending resolution of the charges, but successfully sought a stay of proceedings on both occasions at the Queensland Civil and Administrative Tribunal. Another stay hearing has been scheduled for this Thursday at QCAT, with Currie expected to provide evidence over the phone, as he is understood to be overseas at the moment. Currie, the state's leading trainer of winners over the past two seasons, has consistently maintained his innocence since the case began on Toowoomba's Weetwood day on April 7 last year. Last week Aquis Farm, which has one of the biggest racing teams in the state, announced it would not race any horses under its control in Queensland until "a number of integrity issues are resolved." The Hayes family's Lindsay Park endorsed the Aquis stance on Monday, citing concerns around a level playing field in Queensland.